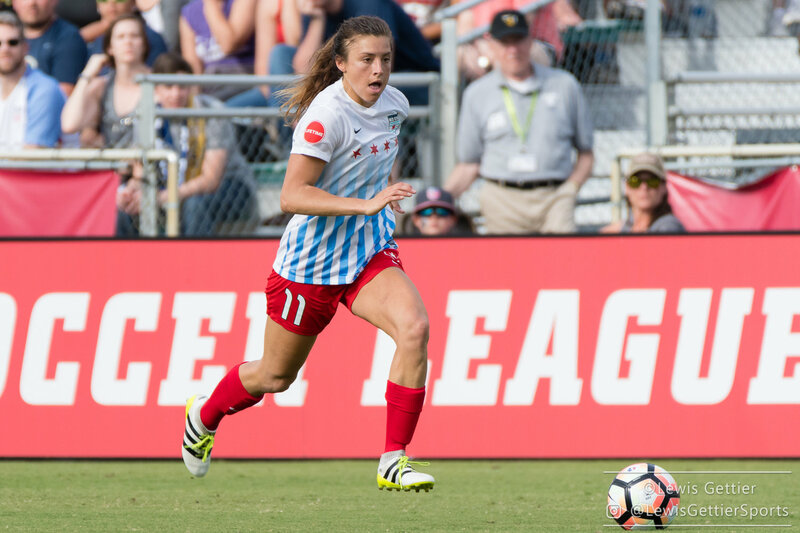 Also in today’s roundup, the Red Stars defeat the Dash while the Thorns draw the U-23s in Day 2 of Thorns Spring Invitational, and the Spirit unveil 2018 jerseys. On Thursday the NWSL released the 2018 roster and competition rules and regulations. 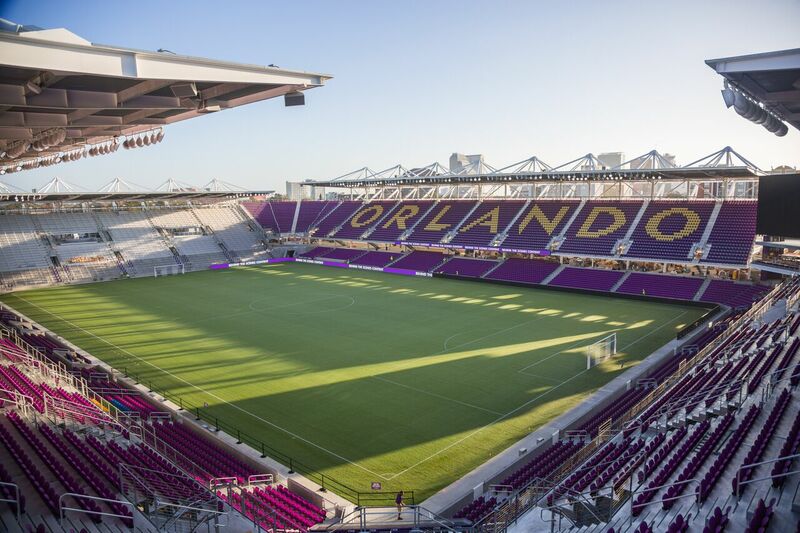 Included in the press release was that the NWSL Championship will once again be held at a predetermined site instead of at the home stadium of the higher seed advancing to the final. 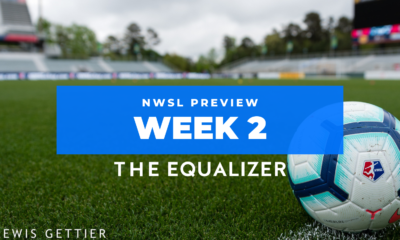 Although the league previously announced that the final will be played on Saturday, September 22, the exact location of the 2018 NWSL Championship has yet to be announced. The list of roster rules and regulations officially states that the 2018 minimum salary for players in the NWSL is $15,750, while the maximum salary is $44,000. The team salary cap is set at $350,000, while teams are once again required to field a roster of 18-20 players. Federation Players count against the roster limit but not team salary caps, while players selected during the Boston Breakers dispersal draft do not count against either for the 2018 season. According to the NWSL’s official press release about the roster rules and regulations, one section that had been updated ahead of the 2018 season is the National Team Player Replacement rules. For every national team player that is unavailable for her club because of international duty, a replacement player may be signed by the national team player’s club. That player will be paid the league minimum salary, but her salary will not count against the salary cap. Her contract will be terminated once the national team player’s stint with her national teams are over. This effectively means that there will be no amateur players in the NWSL during the 2018 season. The full 2018 competition rules and regulations can be found here, while the full roster rules can be found here. 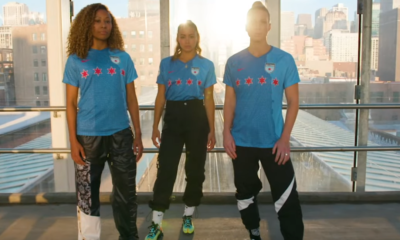 The Chicago Red Stars remained undefeated in the Thorns Spring Invitational, downing the Houston Dash, 1-0, on Wednesday afternoon. The lone goal was scored by Sofia Huerta in the ninth minute. Huerta evaded a defender with a run to the near post and got on the end of a Sam Kerr pass near the penalty marker. There she beat goalkeeper Jane Campbell with a shot at the opposite post. 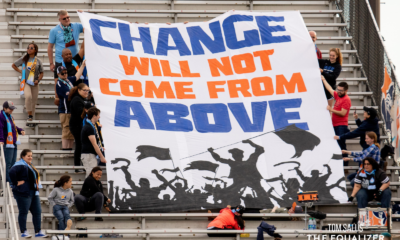 Chicago fans had reason to be concerned later in the match when Dash defender Amber Brooks went up for a ball and came back down on Kerr’s foot. Kerr stayed down for over a minute and was immediately subbed out of the game, but she was seen walking, albeit gingerly, unaided following the match. 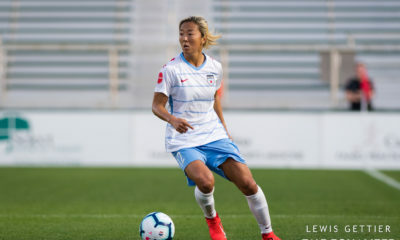 Yuki Nagasato exited the game earlier in the match due to an apparent injury, and Vanessa DiBernardo was seen walking with crutches following a knock taken during Sunday night’s preseason match. The Red Stars wrap up the preseason tournament on Saturday, March 17 when they take on the U.S. U-23s at 4:30 p.m. ET, while the Dash follow in the tournament finale against the hosts at 10:30 p.m. ET. Both matches will be played at the University of Portland’s Merlo Field. In Day 2 of their annual Spring Invitational preseason tournament, the Portland Thorns drew the U.S. U-23 women’s national team, 2-2. Forwards Ifeoma Onumonu and Mallory Weber scored for the hosts in the opening half, while Stanford freshman Catarina Macario scored a second-half brace to bring the U-23s back level. 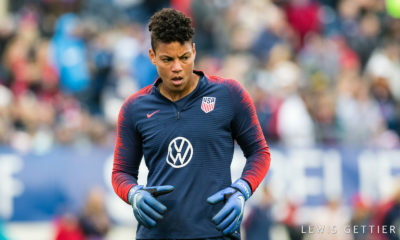 Although not the end result Thorns fans may have hoped for, the match did see the returns of captain Christine Sinclair, Lindsey Horan, and Emily Sonnett, all back from international duty with their respective national teams. All three staples of the Thorns lineup returned to the starting XI for the match, with Sonnett playing the full 90 minutes while Sinclair and Horan both exited in the 64th minute. Horan also tallied an assist in the match after she intercepted a pass and sprinted down field, where she slipped off a pass into the box intended for Onumonu. The former Boston forward took a close-range shot and put it past Portland draft pick Bella Geist, in goal for the U-23s. Weber then doubled the hosts’ lead in the 34th minute, scoring her first goal of the 2018 preseason off a pair of headers that found the back of the net. The U-23s were down but not out as Macario netted her first goal of the match in the 58th minute off a tight-angled shot. She then completed her second-half brace in the final minute of regulation to steal a point away from the pros. The Thorns close out their 2018 preseason tournament against the Houston Dash on Saturday, March 17 at 10:30 p.m. ET. That game will also be played at Merlo Field at the University of Portland. 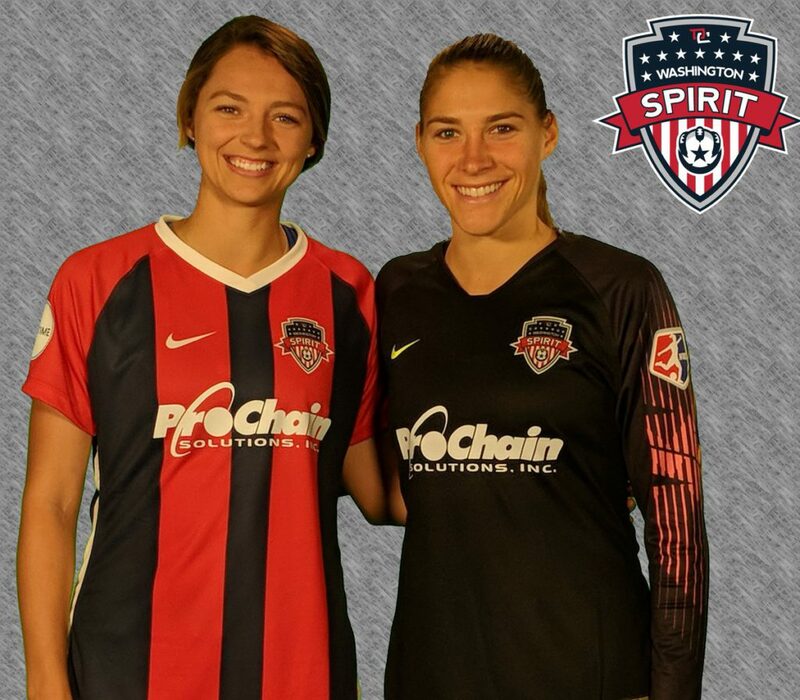 The Washington Spirit unveiled their new jerseys for the 2018 season in a series of pictures featuring new additions to the Spirit roster sporting the team’s new kit. For the first time in team history, the jerseys feature vertical navy and red alternating stripes on the torso with red sleeves. The jersey will be paired with red shorts and socks to complete the new kit. The 2018 goalkeeper jersey features a solid torso but a broken up striped pattern on the long sleeves. Although there is typically one standard goalkeeper kit used in the league, the Spirit look to have gone with a black jersey with pink accents on the sleeves.